Gov. 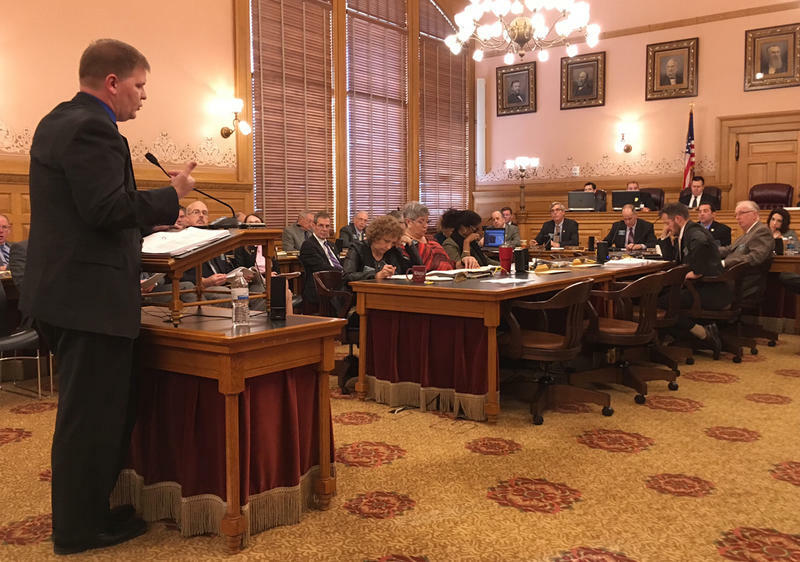 Sam Brownback announced Tuesday night that he would veto a tax bill, setting off 24 hours of legislative action that ended when the Kansas Senate failed to override his veto on a 24-16 vote. The legislation Brownback vetoed, House Bill 2178, seeks to end persistent budget shortfalls by undoing many of the income tax cuts he signed in 2012. The tax bill passed 22-18 last week in the Senate, but it needed five more votes to reach the veto override threshold and only gained two. Senate President Susan Wagle and Senate Majority Leader Jim Denning, both Republicans who opposed the tax bill, said they preferred to hold out for another budget solution. “This isn’t the last train out of the station,” Denning said before he voted to sustain the governor’s veto. The Legislature faces a deficit of more than $300 million in the current fiscal year that ends June 30. Many legislators have said they won’t entertain Brownback’s proposed one-time fix for that — liquidating a long-term investment fund — until they get a tax bill that addresses projected future deficits. That includes a gap of about $550 million next fiscal year. Brownback’s 2012 bill exempted more than 300,000 business owners from paying any income tax on “non-wage” revenue. It also sliced individual income tax rates and eliminated one bracket. At the time, Senate Republican leaders said Brownback told them it was just a negotiating point and they felt duped by his administration when the more conservative House unexpectedly passed it. Rep. Tom Sawyer, a Democrat from Wichita, noted that history Wednesday. The 2012 plan was more drastic than what Brownback wanted then, but he chose to sign it anyway and has been steadfast in his defense of it. 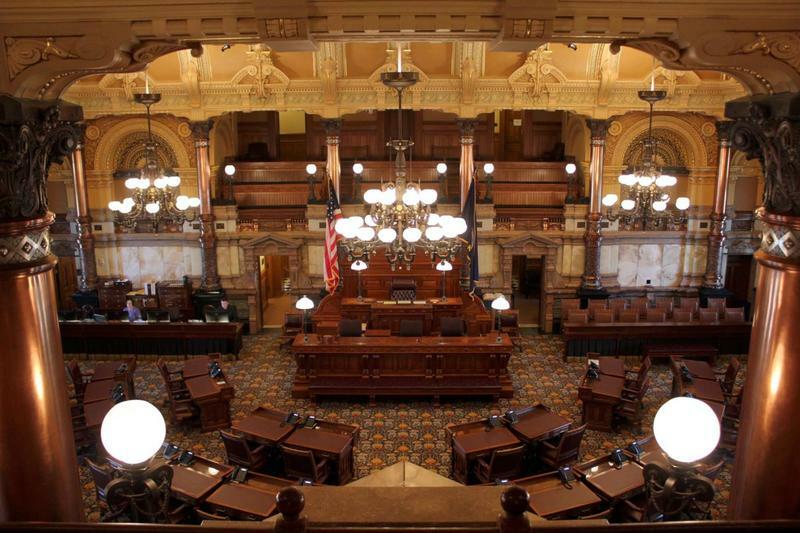 The Senate action came at the end of a whirlwind 24 hours in which Brownback vetoed HB 2178 and the House voted to override his veto. 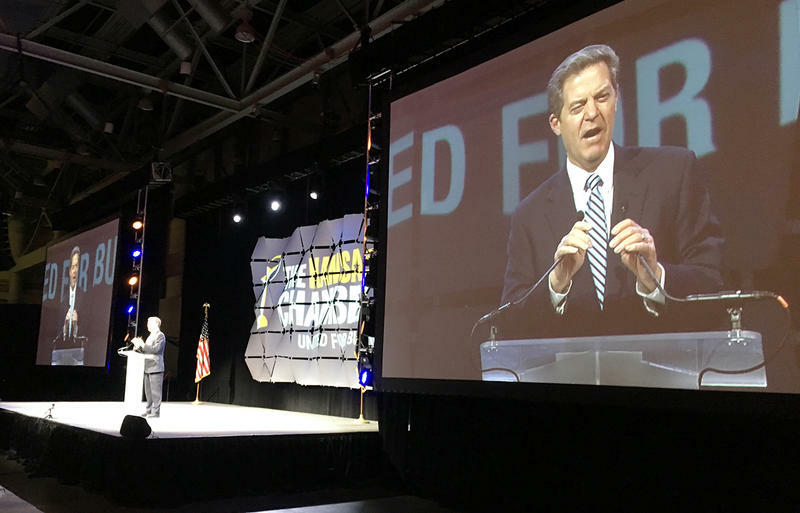 Brownback announced his decision to veto the bill Tuesday night at the Kansas Chamber of Commerce’s annual dinner, sandwiching it between speeches by U.S. Reps. Kevin Yoder and Lynn Jenkins and business leaders. The Chamber opposes the bill, as do the National Federation of Independent Businesses and the fiscal conservatism advocacy group Americans for Prosperity. Brownback said the tax cuts are spurring growth, as evidenced by increased filings of new businesses. But that has not closed structural budget deficits that have led to cuts in social services and higher education, as well as repeated sweeps of one-time money from a highway construction fund. The bill Brownback vetoed would have closed most of the gap starting next year by adding business owners back to the tax rolls, restoring the third income tax bracket and raising rates, although they would remain below pre-2012 levels. Hours after Brownback vetoed the bill, House members who supported the bill scraped together enough votes to overrule him. It was a show of force by moderate Republicans who made gains in November by vowing to end the annual budget crises — even if it meant raising income tax rates and working with Democrats. 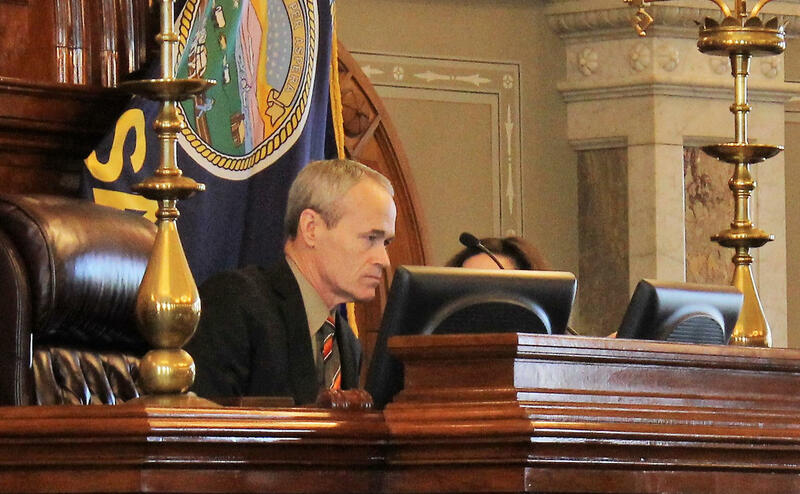 Rep. Clay Aurand, a Republican from Belleville, cast the deciding vote Wednesday morning in the House to override Gov. Sam Brownback's veto of a tax bill. Representatives sat one vote short for several minutes, listening to colleagues explain their votes. Then Rep. Clay Aurand, a Republican farmer from Belleville, switched to “aye” and the chamber erupted in cheers until House Speaker Pro Tem Scott Schwab gaveled it to silence. Aurand said there was “a lot wrong” with the bill and he had hoped for a better alternative. But he said he saw no other opportunities to pass a bill that would narrow the budget deficit and create a more equitable tax code. After Aurand flipped, Rep. Blaine Finch also changed his vote, making the final tally 85-40, with 45 Republicans and 40 Democrats voting to override the veto. After the Senate’s vote to sustain the veto, the path ahead for a budget is murky. Brownback said he will work with House and Senate Republican leaders who voted against overriding the veto to tweak his budget plan into something more palatable for lawmakers. But Denning called the governor’s plan “insulting” and said he didn’t even want to waste time on it. The governor’s plan includes big increases in tobacco and alcohol taxes. It also suggests cashing in an annuity from a legal judgment against cigarette manufacturers in exchange for a lump sum. Trading the annuity for quick cash wouldn’t provide a long-term budget fix, and Rep. Steven Johnson, a Republican from Assaria, said it would be a particularly bad idea in the long-term. Johnson, who was praised Wednesday on the House floor for his work on HB 2178 as chairman of the House Taxation Committee, said he didn’t see the votes for that or for cuts to public education. In short, he didn’t see the votes for any budget fix at the moment.